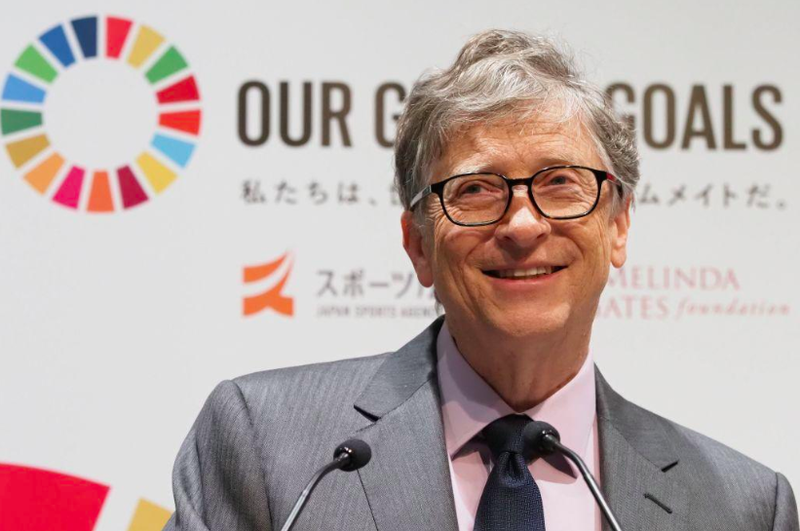 Although Bill Gates has yet to reclaim the title of world’s richest person, he just joined the ultra-exclusive 12-figure club of billionaires. Giving him company is Amazon boss Jeff Bezos. During the dotcom era, Bill Gates was the richest person in the world. According to a Bloomberg report, Gates’s fortune hit the $100 billion mark after adding $9.5 billion to his wealth. However, Bezos also added another $20.7 billion to his fortune that zoomed to $145.6 billion. Indeed a great feat. But how long the duo will stay in the super club needs to be seen. Gates is giving away his wealth to philanthropy while Bezos’ divorce plan may rip a good portion of his wealth. The report mentions that the rapid accumulation of wealth by the richest is also the signal of the expanding divide between the rich and the poor in every part of the world. The world’s third richest person is France’s, Bernard Arnault. His worth at $86.2 billion equals nearly 3 percent of the French economy. Same is the case with Spanish billionaire Amancio Ortega whose fortune is almost 5 percent of the GDP of Spain. The wealth aggregation also expanded the net worth of the rich on Bloomberg Billionaires Index to a total $5.3 trillion. Meanwhile, in a keynote speech at the Stanford University, Bill Gates spoke about his fears and opportunities concerning Artificial Intelligence (AI) technologies. The super billionaire compared AI to nuclear technologies which are both promising as well as hazardous. “We had nuclear weapons and nuclear energy, and so far so good,” Bill Gates observed. As reported by the Stanford Daily, the comparison of AI to nuclear weapons might look odd to some people. But experts agree that Gates’ comparison is not exaggerated. There is an obvious risk that powerful AI systems can lead to unintended behavior if deployed carelessly and drive to the extinction of own species. The Microsoft founder noted that despite risks, researchers are enthusiastically exploring the AI system’s capabilities and reporting many breakthroughs. According to Gates, the high motivation on AI is led by attractions of profit, fame, competition and overarching belief that AI can bring enormously huge benefits despite risks. However, Gates noted that society is yet to benefit much from AI. There is huge potential with AI in terms of applications in healthcare, education, and global poverty eradication. These are also active areas of Bill Gates’ charity movement. Citing a specific example, the global billionaire said AI can identify promising drugs for the needy sections of the population and speed up its development for enhancing global health.